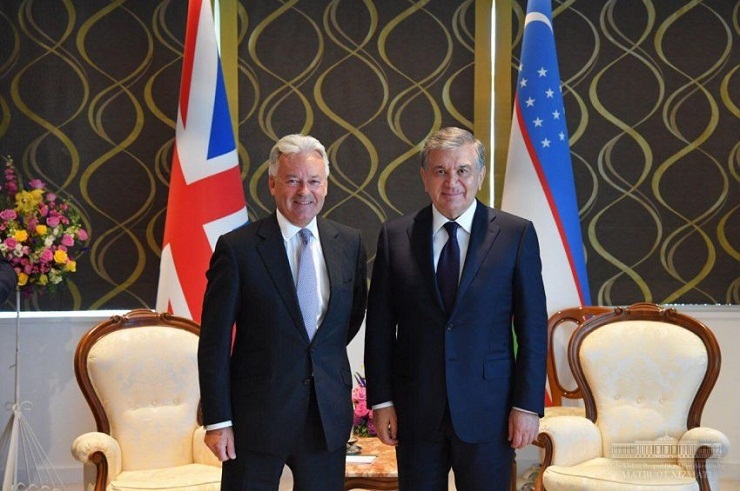 On May 15, President of the Republic of Uzbekistan Shavkat Mirziyoyev met with Minister of State for Europe and the Americas at the Foreign & Commonwealth Office of the UK Alan Duncan during a brief technical stop at the airport in London. During the conversation, the Head of the state emphasized the importance of effective implementation of the existing great potential of bilateral cooperation. Important attention was paid to intensifying contacts at various levels, developing practical cooperation, promoting joint programs and projects in trade and economic, investment, innovation, financial, cultural, humanitarian and other areas. Alan Duncan conveyed to the President of Uzbekistan Shavkat Mirziyoyev greetings and best wishes on behalf of the Prime Minister of UK Theresa May. Alan Duncan highly appreciated the ongoing reforms in Uzbekistan at the present stage, as well as Uzbekistan's active efforts to ensure security, stability and sustainable development in the region, including the successful holding of the International Conference on Afghanistan in March this year in Tashkent. The readiness of the British side to strengthen full-scale cooperation between the two states was expressed. After a technical stop in London, the President of Uzbekistan departed for the USA.